It is a sad fact that 80% of businesses fail in their first five years and over a 10 year period 24 out of 25 businesses fail. Why, because they don’t have enough customers buying from them on a regular basis. They don’t attract a sufficient number of qualified prospects. They fail to convert their prospects into profitable customers. The REAL Purpose Of A Business… The main function of any business is the acquisition of new customers and fulfilment of current customers needs to make a PROFIT. ALL businesses are Sales & Marketing businesses. Reality No. 1. Having a ‘great’ product or service alone will not achieve success… BUT a ‘quality’ product or service marketed in a superior way WILL GUARANTEE your success. Reality No.2. The KEY to a profitable business is to successfully implement effective and affordable Marketing and Innovation. 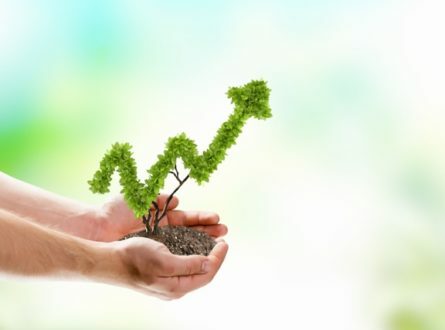 Alchemise Consulting looks at Simple And Scientific Principles That Can Help Nearly Any Company Double Revenues And Profits Within 12 – 18 Months. The quickest, easiest, most inexpensive road to growth and profits is to concentrate on:-How much, how many, and for how long can you sell to each of your customers? If you are not leveraging off this focus and leverage around these 7 Profit Multipliers with your clients then you are losing sales revenue and increased profit margin per client to your competition and not adding significant value. There is a limit to how much you can CUT COSTS before quality and service is affected. Before a person becomes a customer, they are merely a name, a lead. A customer is someone who has made an actual purchase. A lead in merely a potential customer. A prospect. The more leads or prospects you have, the more you can convert into paying customers. How do you get more prospects? There are many ways: Ads, a direct mail campaign, a referral program, Internet marketing, promotional techniques, joint venture arrangements, and many, many more. Because the choices for finding more prospects are many — and not all created equal — choosing the correct ones becomes a prime area of concern. This means a higher percentage of sales based on people served. For example, if a company is averaging 20 sales per 100 people confronted, a worthy goal would be to increase sales to 35 or 50 per 100 prospects. There are ways to make this happen: Improved telemarketing scripts, more attractive offers, testing different prices, improving quality, and more. One of the Holy Grails of marketing excellence is the repeat sale – or more specifically, creating repeat customers who come back to buy again and again. Far too many businesses ignore this simple-to implement, common sense strategy to boost profits. Repeat sales are sometimes called “back-end” sales. For many companies, sales on the back-end are where the true profits are made. For many companies, first sales may generate little or no profit, or even a small loss. This is sometimes called a “loss leader.” It’s a low-profit sale designed with an eye on making real money on the second and third sales. But whether one makes a profit on the first sale, or not, getting more sales after a first is a major key to higher success in marketing and selling. It takes a certain amount of time and effort to make each sale. Why not squeeze more out that transaction while the customer is in the process of buying? It’s easily done. For example, if a customer buys a shirt, he may also buy a tie at the same time – but the customer is far more likely to do so if actively prompted by the seller. If the salesperson does not ask for an additional sale, the customer is far less likely to make one or even think about it. Suggesting an additional sale at point of purchase is called ‘Cross-Selling’. Fast food restaurants have made billions with the Cross-Sell strategy. Buy a hamburger and the worker says, “Would you like french fries with your burger?” A cousin of Cross-Selling is ‘Up-Selling’. An example: “You can get the larger soft drink for just 25 cents more. It’s a better value.” The idea is to prompt the customer to buy a larger size, amount, etc. Profits can be increased with each sale by manipulating packaging. Fast food restaurants are again on the cutting edge of this method. They offer toys, glassware or something else with the purchase of a basic meal package. The customer pays slightly more but gets an item of extra value. Average purchase value x Average number of times they buy in a year x Average number of years they remain your customer + the monetary value of their referrals. Established business owners know that as much as 90 percent of their new business comes through referrals of new customers made by existing customers. Better yet, referrals cost next to nothing. A referral is simply an existing customer telling a friend about a product they bought from X Company, prompting that person buys from X Company as well. Referrals are powerful because it’s an endorsement of a product from a trusted source – a friend, colleague, or acquaintance. People automatically distrust ads, for example, because they believe that most ads contain a least some hype, if not outright falsehoods. Not so a referral from a trusted friend. There are specific methods you can employ to encourage customers to make more referrals than they would normally do. Multiple Channels of distribution – This provides instant leverage and multiple income streams to boost sales revenue and profitability from a lower cost base exponentially than linearly. Based on limited resources and investment in overheads this is far more effective to select complimentary channels to help grow your business. With every referral obtained the growth potential is increased by the number of channels who are active. 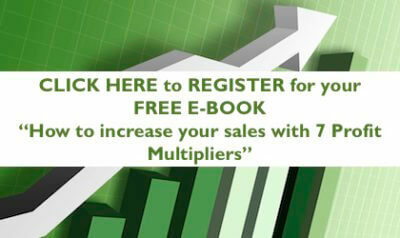 BUT by increasing ALL of these Multipliers by just a small margin will exponentially skyrocket your bottom line profits! For a confidential discussion around these profit multipliers and how they can help with your business, please contact Alchemise Consulting to understand how we can tailor effective sales strategies to help achieve your profit goals.